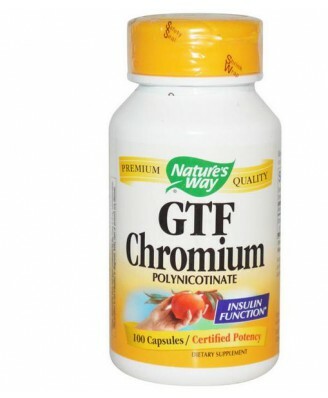 Chromium is part of the GTF (Glucose Tolerance Factor) molecule. GTF is an important cofactor for insulin in the regulation of blood sugar, which is necessary for proper metabolism. 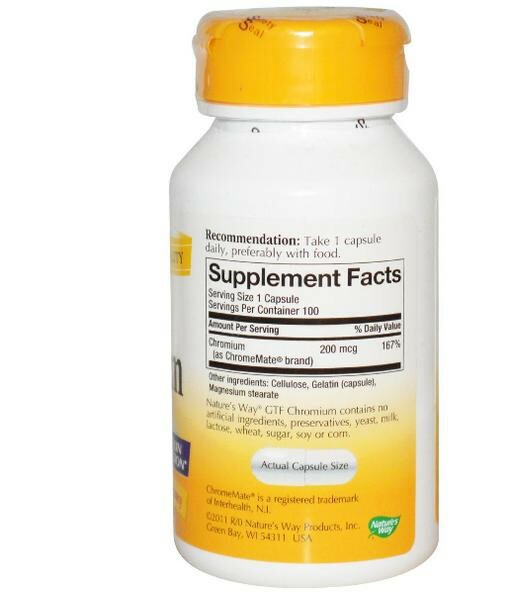 Cellulose, gelatin (capsule), magnesium stearate.Nature's Way GTF Chromium contains no artificial ingredients, preservatives, yeast, milk, LACTOSE(MELK), wheat, sugar, soy or corn. Chromium is part of the GTF (Glucose Tolerance Factor) molecule. GTF is an important cofactor for insulin in the regulation of blood sugar, which is necessary for proper metabolism. 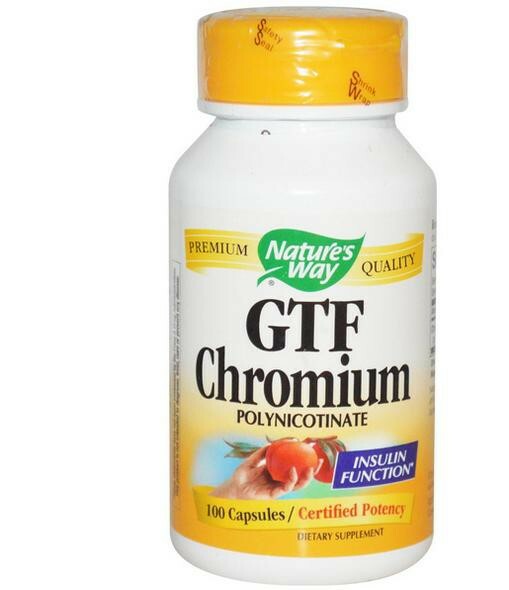 Nature's Way GTF Chromium is carefully tested and produced to certified quality standards. Cellulose, gelatin (capsule), magnesium stearate. Nature's Way GTF Chromium contains no artificial ingredients, preservatives, yeast, milk, lactose, wheat, sugar, soy or corn. Take 1 capsule daily, preferably with food. , Freshness & safety sealed with printed outer shrinkwrap and printed inner seal. Do not use if either seal is broken or missing. Keep out of reach of children.